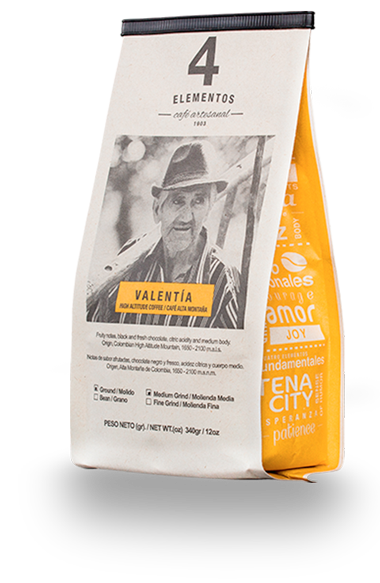 The story began in 1903 when Bruno Gutierrez settled into a quiet farming village called Calle Larga, on the outskirts of the city known today as Armenia, Colombia. Calle Larga is a place known for its beauty and harmony, whose people are infused with happiness and devotion towards the generous, fertile land. 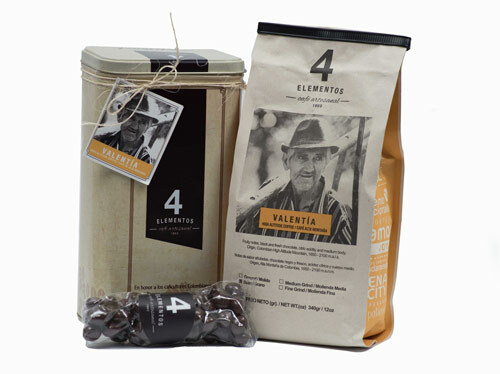 It is here that Bruno first planted coffee on his small farm. 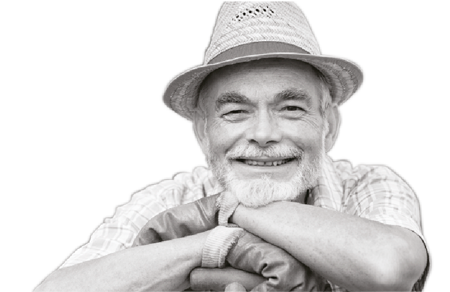 For more than 100 years, his family have continued and expanded the tradition, nurturing the plants and cultivating the beans using artisanal practices that ensure the quality and flavor reflect the magical essence of the land. 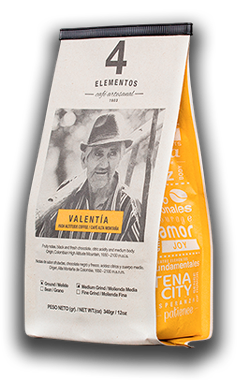 Each cup of coffee you enjoy brings with it elements that are fundamental to quality – the rich soil that produces delicate aromas and the dedicated farmers who carefully select only the best beans for harvest. Produced in a traditional way, it has printed the work of the producer putting its special stamp at the time of sowing, harvesting, harvesting, the benefit of the grain and its final product. 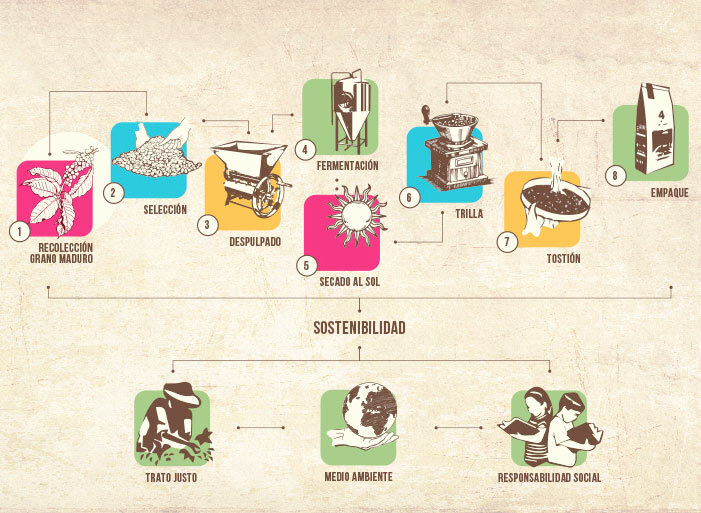 It guarantees the conservation of natural resources in a socially just environment. 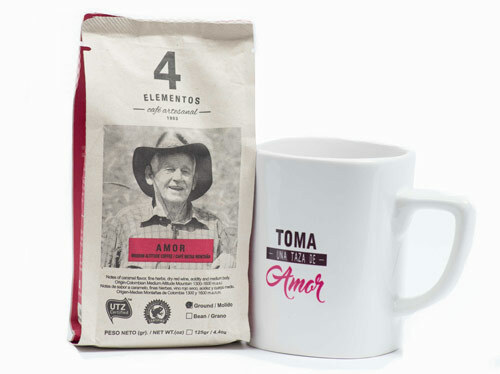 When you taste a cup of Amor (“Love” in English), you will enjoy a perfectly-balanced coffee with pronounced aromas of fruit and caramel, mild acidity and a medium body characteristic of the mid-level elevations ideal for growing coffee (1300 to 1600 m). 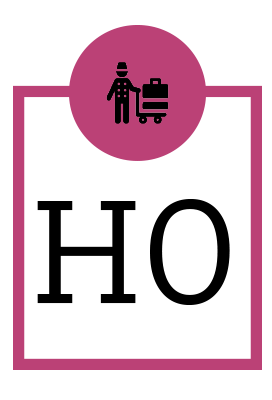 The fertile mountain soils are surrounded by volcanic rock whose vital nutrients are spread by abundant rain throughout the year. 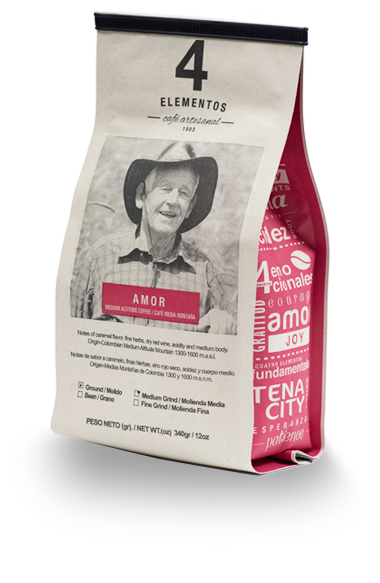 Don Fernando and his family are coffee growers from this region, who have learned through generations that one of the most important values ​​to cultivate their land is love. 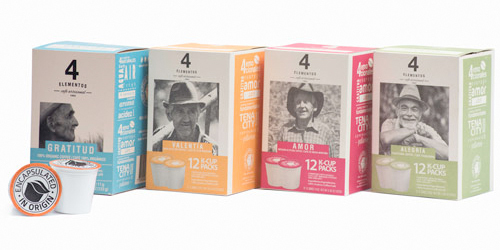 CUPPING NOTES: Fragrance and aroma of red fruits and caramel, medium acidity and body, prolonged and sweet after-taste. PROCESS: Sun dried, Washed, Fermented. ORIGIN: Quindío – Finca Fenix. 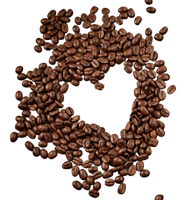 COFFEE TYPE: Excelso Coffee – Single Origin. 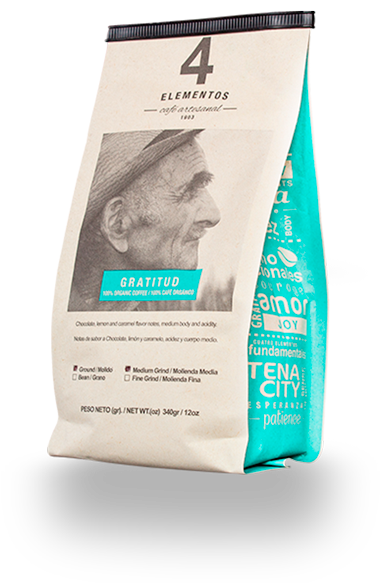 When you drink a cup of Gratitud, you will taste the softness of a coffee with a deep body and medium to low acidity featuring notes of chocolate and walnut. 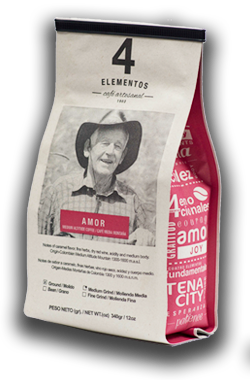 The beans are grown along the fog-covered chasms in the Sierra Nevada mountains of Santa Marta, under the shade of the tropical forest. 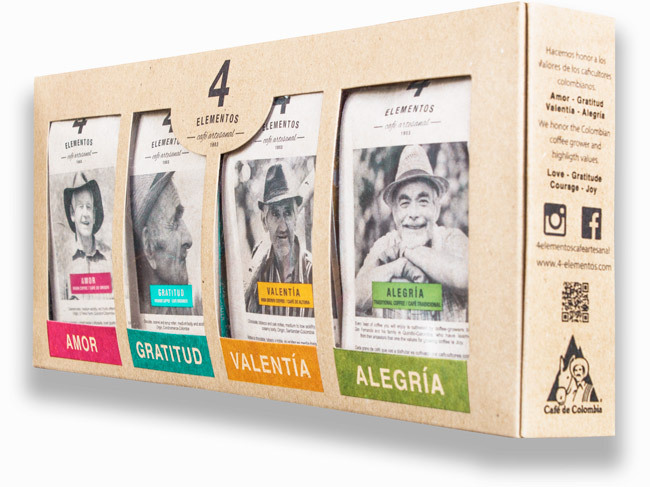 Coffee families in the Sierra represent our organic coffee growers have learned through generations that one of the greatest values ​​to cultivate their land is gratitude. CUPPING NOTES: Fragrance and aroma of chocolate and walnut, flavor features notes of caramel and syrup, medium acidity, medium body, prolonged and sweet after-taste. ORIGIN: Sierra Nevada de Santa Marta – Finca El Nacimiento. 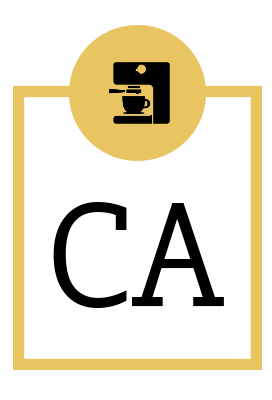 When you taste a cup of Courage, you may be pleasantly surprised by its Sweetness and Intensity, comprised of fruity notes and intense chocolate aroma. 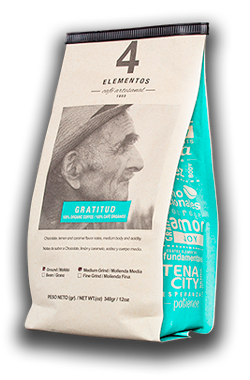 The low temperatures typical of higher elevations (1650 to 2100m) cause the sugars to ripen more slowly, producing a coffee with higher acidity and lighter body. 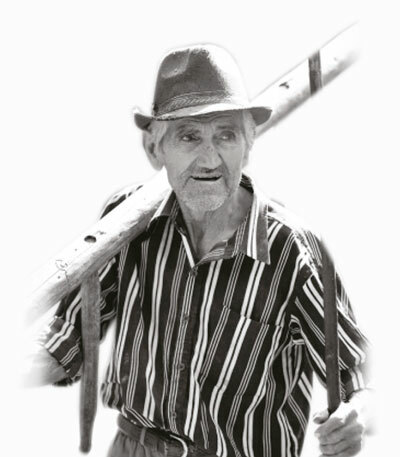 Don Juan and his family are part of our coffee growers of the High Mountain, who have learned over many generations that one of the greatest values ​​to cultivate their land is Courage. CUPPING NOTES: Fragrance and aroma of sweet chocolate and caramel, in flavor you can perceive fruity notes and intense chocolate, medium-high acidity, light-medium body, prolonged and sweet after-taste. 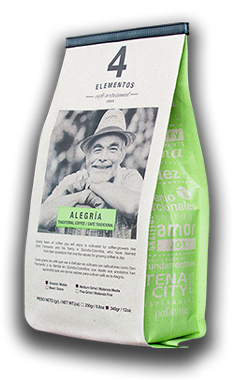 ORIGIN: Santander – Finca La Margarita. 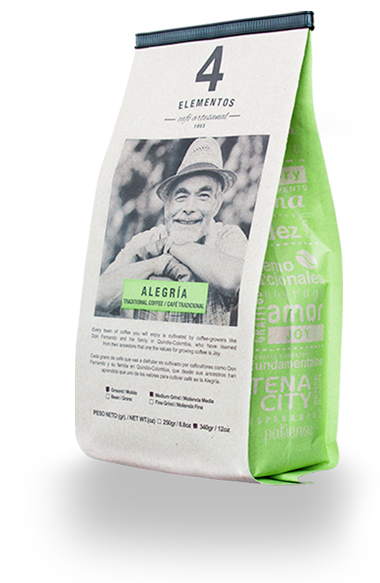 When you drink a cup of Alegría, you will sense the intense bitter chocolate flavor appreciated by those who prefer a dark coffee or espressos. Don Alberto and his family are part of our traditional coffee producers who have learned through generations the joy in producing great coffee. CUPPING NOTES: Intense coffee with character, bitter chocolate notes, low acidity and strong body. 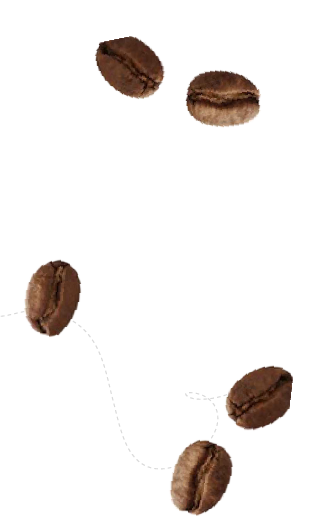 COFFEE TYPE: Excelso Coffee – Regional Blend.